Which Ek Mukhi Rudraksh has naturally one line over it is called one face Ek Mukhi Rudraksh. It is considered as the appearance of LOED SHIVA. Wearer of thisEk Mukhi Rudraksh KAVACH will be release from each sins even murder offense is also forgiven by LORD SHIVA after wearing this. 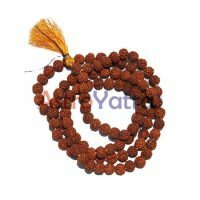 Only by wearing thisEk Mukhi Rudraksh people are blessed and take all the benefits like prosperity, popularity, and image So on so forth. 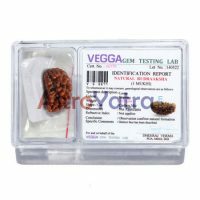 Who wears EK MUKHIEk Mukhi Rudraksh always releases from all the diseases and crisis, no fear take birth in that people. EK MUKHIEk Mukhi Rudraksh KAVACH brings vast power, religious enhancement, prosperity, huge confidence, luxury. It is an auspicious sign to make connection with LORD SHIVA. This is the finest among all Ek Mukhi Rudraksh. EK MUKHI Ek Mukhi Rudraksh KAVACH is the great combination of Ek Mukhi Rudraksh which solves job and career related problems. It gives popularity, wealth when it is used. SUN is the centre of SOLAR SYSTEM and all the planets go around this system represents one MUKHI. This KAVACH controls the side effects of sun and reduces the disease of right eye, head, ear, bones and any other physiological disease. And it psychologically increases self esteem, leadership quality; confidence etc. as SUN is happy with the wearer of Ek Mukhi Rudraksh KAVACH.